During the summer of 2016, I interned at Ekso Bionics, a robotic exoskeleton company based in Richmond, California. 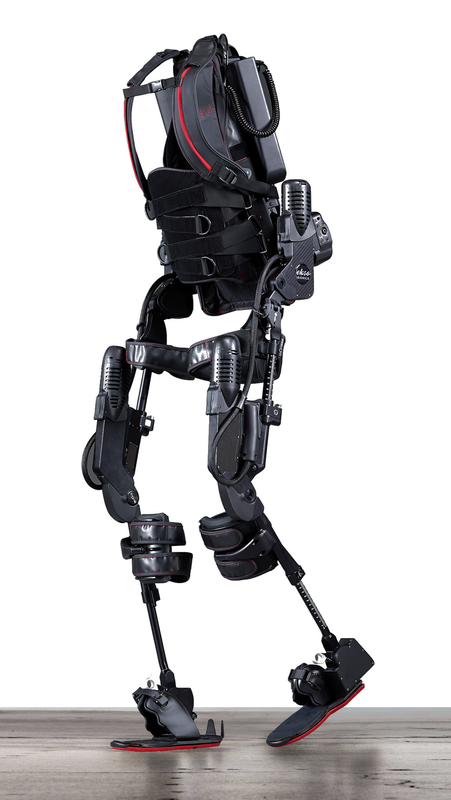 Ekso specializes in robotic lower-body exoskeltons for medical, military, and industrial applications. In the past, the company has pioneered the use of exoskeletons in the treatment of paralysis and stroke victims, with their Ekso GT exoskeleton, and has also taken part in multiple DARPA projects for military applications of the technology. Currently, the company is also working to expand into industrial applications, using passive exoskeletons to augment the abilities of industrial and construction workers, aiming to minimize injury and increase productivity. While at Ekso, I worked on the industrial team, where I was tasked with designing and implementing a cycle-testing apparatus for the company’s zeroG Arm system. This system consists of a passive load-balancing arm that uses springs to counteract the weight of a heavy tool, rendering it effectively weightless for the user. My testing stand cycled the arm through its full range of motion, simulating the loads that would be experienced in the field. Additionally, my device allowed for regular measurements of the arm’s lifting capacity, facilitating component lifespan analyses for quality assurance purposes. Additionally, while at Ekso, I was exposed to many aspects of the company, including talks from senior engineers, business managers, representatives from the manufacturing team, and physical therapists. Video of my zeroG Arm test stand in operation.